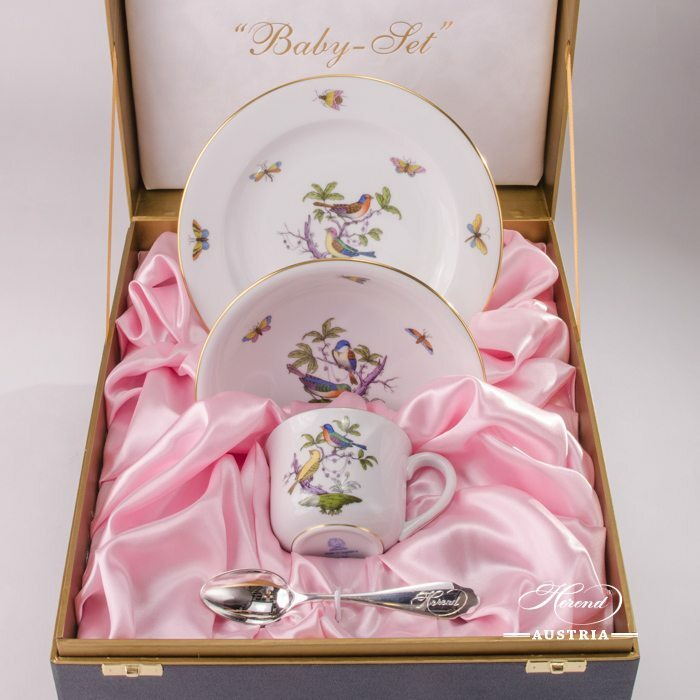 Baby Set for Girl - Couple of Birds ROM - Herend Porcelain in Gift Box This is a Herend Porcelain Baby and Child Breakfast or Dinner Set. 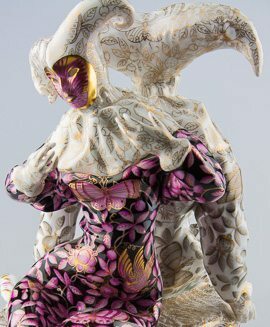 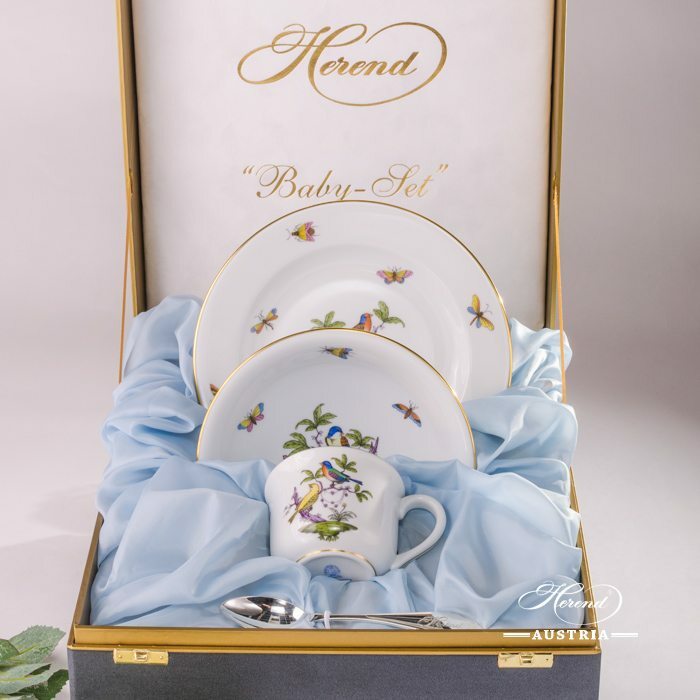 Gift Box: L 55 cm x W 29 cm x H 18 cm This Herend Porcelain Baby and Child Set can be ordered with many different decors. 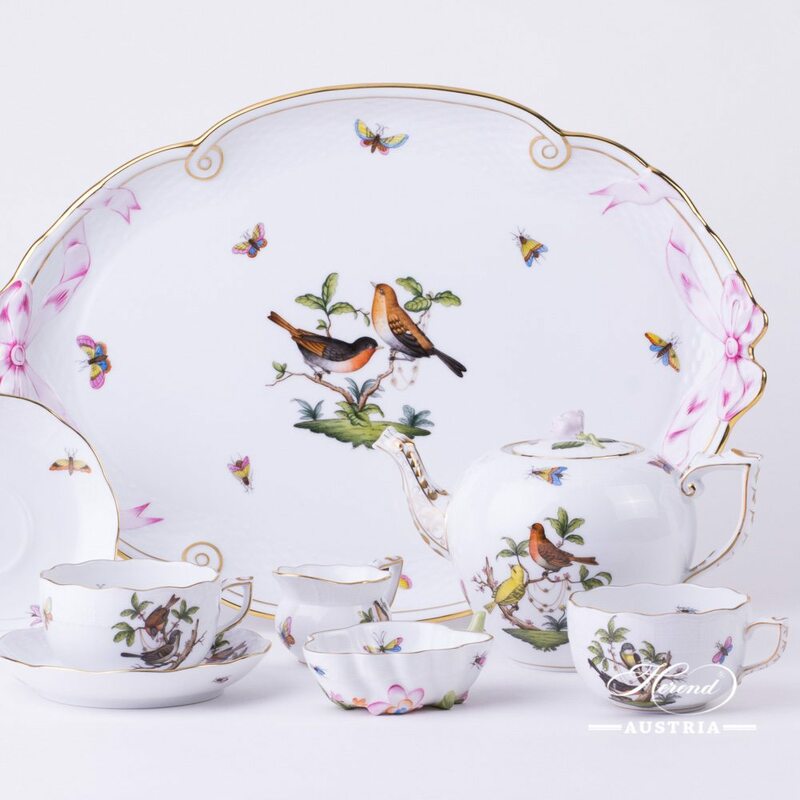 Each Baby Set with a Sterling Silver Spoon will be delivered as a gift from Herend Austria. 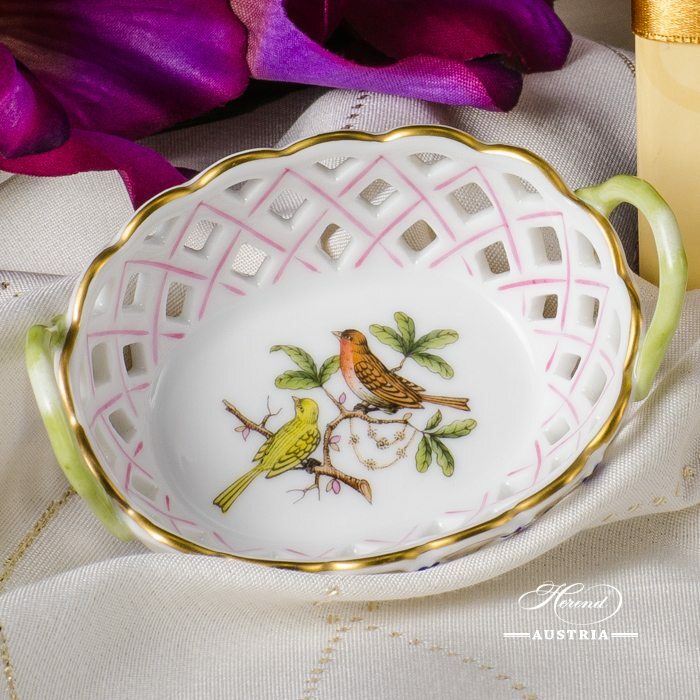 Basket w. Handles - Rothschild Bird / Couple of Birds - RO pattern. 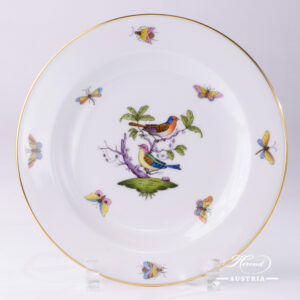 Herend fine china - 7425-0-00 RO – Multicolor design. 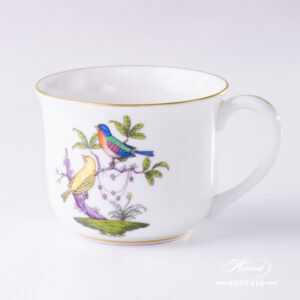 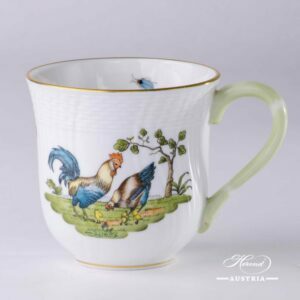 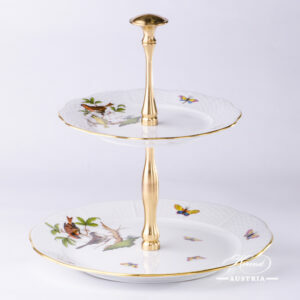 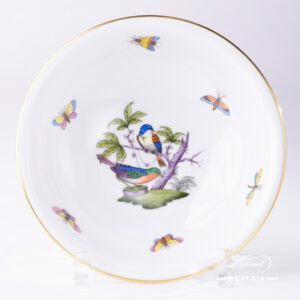 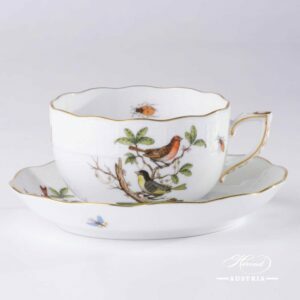 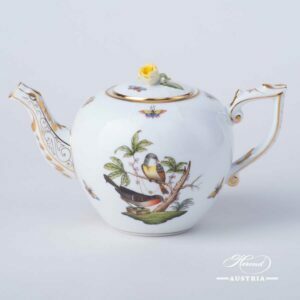 Herend Rothschild Bird RO design is a classic Herend pattern. 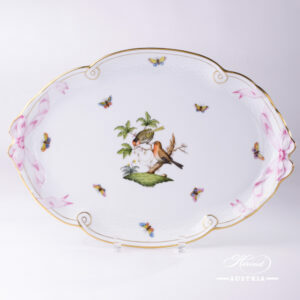 The Basket w. Handles is an excellent gift for Collectors!